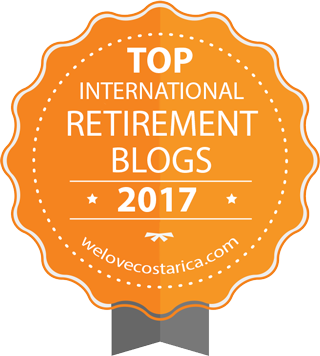 RETIRE IN STYLE BLOG: How to Experience Retirement BEFORE You Retire! How to Experience Retirement BEFORE You Retire! Is Motor Home Travel for You? I want you to enjoy life as you go along. My mother taught me that waiting to have fun is very risky. Stuff happens along the way and it is not always good. Life needs to be lived day by day. I'm just saying. I think that people nearing retirement may be planning for an eventuality they cannot even wrap their mind around. If you are going to make a reasonable plan for retirement, then you need to understand what a life of no work is truly like. You can do this by following my advice and just enjoy little bits of retirement as you go along. How can you get a feel for a life without work? If you live a life that includes periods of real down time, you are going to get a feel for what retirement is all about. Why should you do that? Well...you are not going to quit work and go on vacation to Hawaii for the rest of your life. A trip to a tropical resort is NOT retirement. 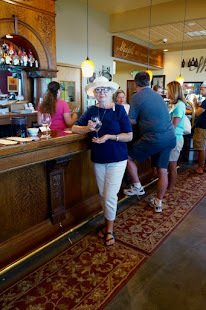 It is fun but not what a retirement lifestyle is all about. I think it is better to find out what is feels like before you retire. Surprises are not always good. Here are some ways to experience the lifestyle while you are still working. Planning on traveling in a motor home? You can find out how RV travel may be by simply going camping in either an RV resort or a camp ground. Stay put and settle in for a while. Don't feel like you have to be on the go all of the time. In fact, I would suggest doing it on the cheap and making your own fun. If you can do that, you are doing just what you would do if you were retired and living in a motor home for an extended period of time. Plan to stay at home after retirement? This may sound nuts but spend your vacation at home. A two or three week vacation spent at home will give you a real feel for what retirement is all about. Shop, clean, putz and read. Even when you become a snowbird, you will be just living like you are at home. Wonder what a normal retirement day will feel like? When you are at home for the vacation, shop on Monday morning. Golf in Wednesdays. There is a whole world of things that happen in the world during the week when you are working. Get out there and see what it looks like. 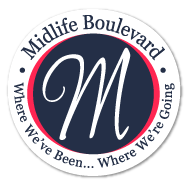 Do you want to be a snowbird in a 55+ community? Never turn down an invitation to go someplace with a group...golfing or just berry picking. Spending time with other people and learning to enjoy it will help you see what a retiree's snowbird lifestyle is all about. We live very closely but you really cannot understand how it works until you actually do it. Are you afraid of all that free time? Set aside a period of time for nothing but what you want to do. No work related stuff can invade this time. See how it feel to fill the days with just life in leisure. This is not like the stay at home putzing thing. This is honest go goodness leisure without anything to do. See how you do with that experience. Doesn't this all seem way to simple? Well, it is not brain surgery...it is just living as you go along. Afraid You Won't Enjoy The Same Lifestyle When You Retire? Will You Wait Until You're 80 To Retire? Snowbird: How do I find a place to rent? What great advice. No need to wait for the "good life." Live it now. Love your suggestions. Three years into retirement, I still keep a calendar and a to-do list. I am very poor at leisure. Still something to strive for! You both do what all retirees aspire to...you live lives that have an impact. I admire you both for that.